Damma Tal Kliem Kartaginis Mscerred Fel Fomm Tal Maltin U Ghaucin. ISBN: N/A. Categories: Dictionaries, Melitensia. 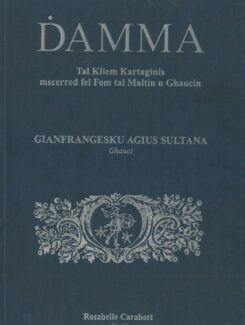 After publishing two books dedicated to Agius de Soldanis, it had been a long-standing dream of the Department of Maltese to publish his manuscript dictionary. The work was started by Rosabelle Carabott and Joanne Trevisan, two students from the Department of Maltese, under the supervision of Dr Olvin Vella, and with the generous help of the National Library. In agreement with the University, in order to meet the cost of publication, funds were solicited from the Akkademja tal-Malti, the National Council for the Maltese language, Heritage Malta, the Ministry for Gozo and RIDT, an organisation which dedicated the generous funds made available by BPC International, to the realisation of this ambitious project. At the production stage, the designer Daniel Cilia was asked to see the project through to its completion. 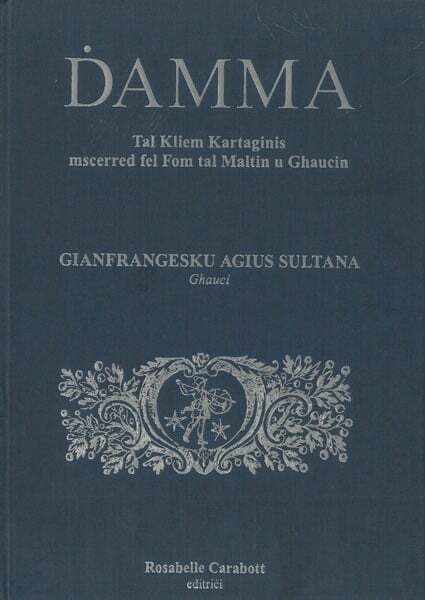 It is a matter of great satisfaction for the Department of Maltese to have made de Soldanis’ Damma available to the reader. It was also gratifying to have once again been able to cooperate with such a large number of people from different fields.